News and Updates / Seasons Greetings! Minecraft Vanilla 1.11: Ready in Control Panel! CraftBukkit 1.11: Ready in Control Panel! SpiGot 1.11: Ready in Control Panel! Forge 1.11: Ready in Control Panel! Although we have common Forge versions in the ADDONS and PLUGINS which you can install with just a click, there are times when you want to install a custom version which may not be listed. 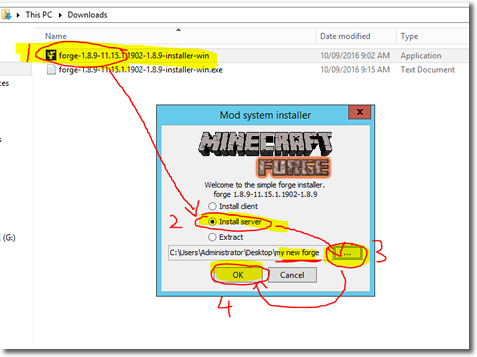 This tutorial covers how to manually install Forge on a server. 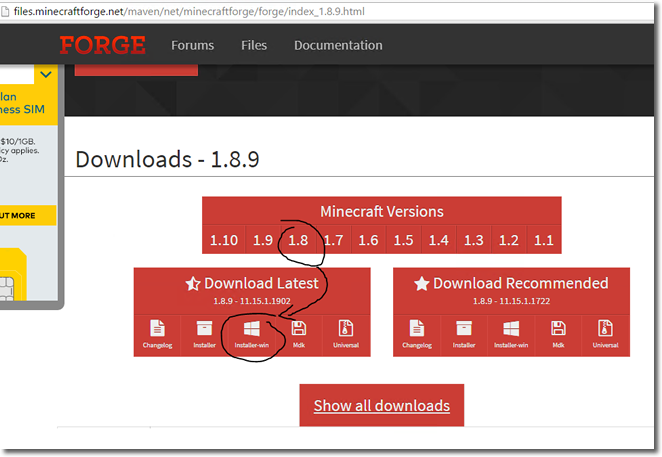 Summary: You need to install forge server files on your PC and then upload those files to the server. 2) Run the downloaded file on your PC - What you'll see is another downloader/installer program. This will actually download the forge server files for you on to your PC. 3) Install Server files - After running the program select: INSTALL SERVER and then change the install path to a easily accessible location. Don't use the default! Give it some time to download the server files. 5) Upload the files! On STIPE Control Panel, go to File Manager section to see your current server files, clean up if necessary. Now drag in the server files you installed from your PC to the File Manager on the website. It will upload all files and folders you dragged. Finally, go back to the control panel and change the server JAR startup file to the forge jar file you uploaded. 10) Now you can stop server and upload your custom mods in the mods folder! Happy Crafting! Feels like too much to handle? Just give us a yell in the support section and we can install it for you! OR the version you are looking for might already be in the ADDONS and PLUGINS section. Just install with a CLICK! Recent update from steam now requires all CSGO Server Operators to register their server under their Steam account & phone number. This is used to tackle banned addons and customisations being installed on the server but it does introduce new methods for players finding your server easily even on the event of an IP address change. Note: Banned addons include any mods or plugins which will change the look or style of your weapons. Even if its changing the colour of it. So don't install it or you'd need to get yourself a new phone number! To get listed the process is easy. 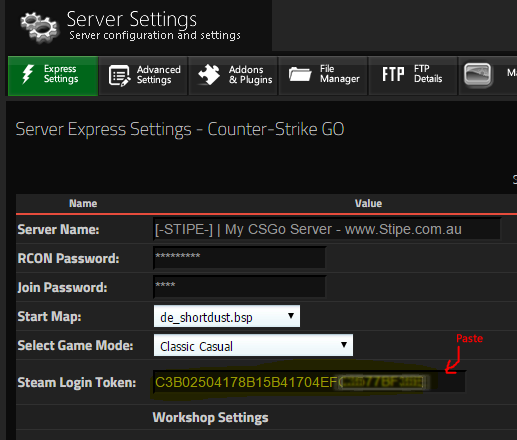 2a) Copy the token and paste it into your STIPE Control Panel under EXPRESS SETTINGS: Steam Login Token. 3) Restart server and away you go! Goobz, we never did get that ticket from you. Did you manage to resolve the issue on your own? General Talk / Re: Stipe is Recruiting. Server Support / Re: Any chance for teamspeak3 servers? News and Updates / 4 more boxes up and running! Another record has been broken! STIPE has added 4 more server boxes to its existing massive collection over the past month! Making this our largest server count ever! STIPE is the only hosting company that has kept its resource limits to < 60% loaded on every box in the last 15 years! Happy customers = Happy STIPE! We thank our customers for their continued trust in STIPE! We are waiting for the final part of the paperwork to get... well finalised! Won't be too long now! News and Updates / Re: What's cooking with STIPE? News and Updates / What's cooking with STIPE? Hate it when you've messed up your configs? Or somebody greifed your world? OR Maybe you did it your self? Currently, STIPE performs the reverse on behalf of the customer, but this is about to change. 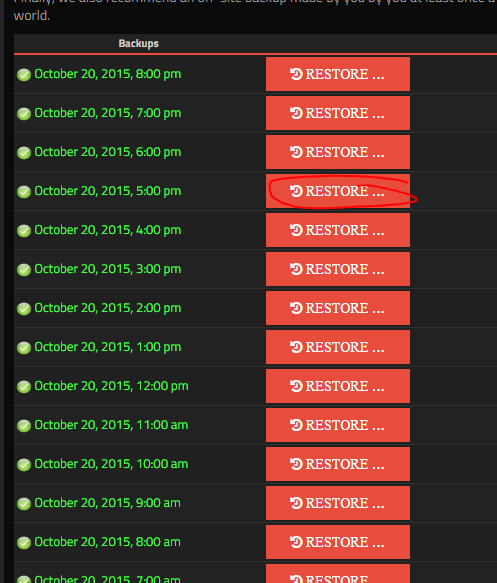 Soon, customers be able to reverse their server themselves to any hour in the past with just a click of a button! No need to put up a ticket! You could purposely grief your server or test that massive TNT and simply reverse back over and over. Feature coming soon in 5 days! UPDATE: Feature is now complete!! Happy going back in time! Here is how to add a Minecraft Server icon. 2. DOWNLOAD: Once your picture is converted and selected as 64x64 pixels. Click the "Download: PNG" to download and save it to your computer. 3. UPLOAD: Upload the PNG file using the FILE MANAGER section of the control panel. Don't put it in any folder. Just place it right at the root of your server files. 4. RENAME: Finally, using file manager rename the file to: "server-icon.png" as shown below. News and Updates / So many updates! !